Editor’s Note: In her column today, Deepa Sanyal, who has been reporting on issues facing North Carolina’s Triangle region, provides an overview of a “mega project” she’s been tracking, located just 20 to 25 miles southwest of the cities of Raleigh, Durham, and Chapel Hill, and the huge Research Triangle Park. If you live in a small town and have also dealt with a large development proposal, consider sharing your perspectives on our PlannersWeb LinkedIn group page. 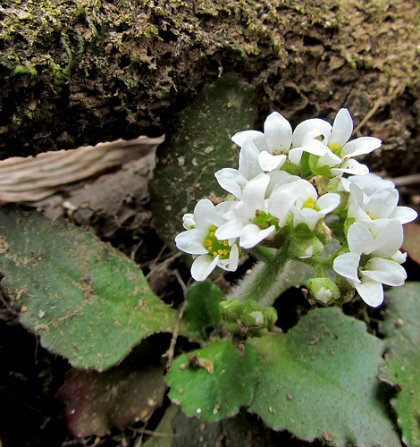 Saxiphrage Piedmont white wildflowers on the Lower Haw River Trail in Pittsboro. Photo by bobistraveling; Flickr Creative Commons license. 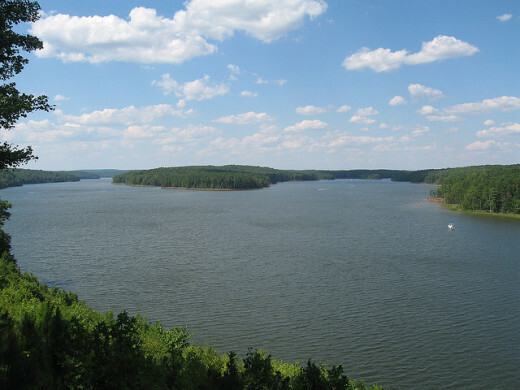 Spreading southwestward from the banks of the Haw River and the shore of Jordan Lake lies an undeveloped wilderness of more than 10,000 acres. Located in the small town of Pittsboro (population under 7,000), the Southwest Shore Wilderness is one of the largest remaining unfragmented areas in the six-county Triangle region. Within this setting, Preston Development Company 1 has assembled more than 7,000 acres of land with plans to develop a large, mixed-use project, Chatham Park. Specifically, Preston Development is requesting a rezoning of 7,656 acres in Pittsboro from its current zoning mix of commercial and residential-agricultural to the more flexible Planned Development District (PDD). In exchange for greater flexibility from existing zoning and regulations, the developers will provide, as per the Pittsboro PDD Ordinance, communities of exceptional design, character and quality. The developer extols Chatham Park as a model of environmental, social, and economic sustainability. 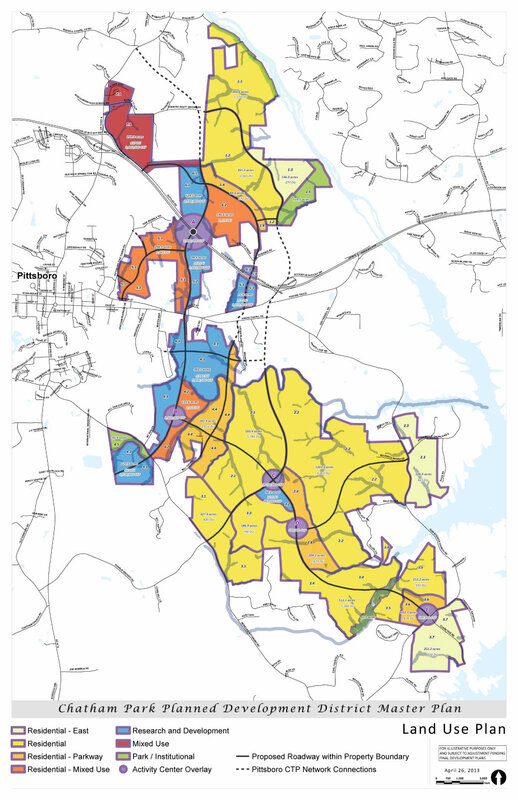 Proposed land use map for the Chatham Park development. Available on Town of Pittsboro web site. Land Use Summary Table for Chatham Park, available on Town of Pittsboro web site. Hillsboro Street in downtown Pittsboro. Photo by Gerry Dincher, Flickr Creative Commons license. The public’s response to the developer’s Master Plan resounded with questions on how Preston would address the ecological (protection of natural resources, wildlife habitats, water quality), hydrological (water supply, public services, stormwater management, wastewater treatment), and socioeconomic (affordable housing, local culture & quality of life) impacts of Chatham Park on small town Pittsboro. The public’s response to the developer’s Master Plan resounded with questions on how Preston would address the ecological, hydrological, and socioeconomic impacts of Chatham Park on small town Pittsboro. Many found it surprising the Master Plan did not reference any of the recommendations in the Southwest Shore Conservation Assessment 5 -- commissioned by Preston itself, and prepared by the Triangle Land Conservancy -- which, if implemented, would protect water quality, conserve critical lands, and preserve and protect Pittsboro’s cultural and historic assets. The Town staff and Pittsboro Board of Commissioners echoed some of the public’s concerns, including requests for affordable housing, more open spaces, and more detail on the land use mix, development form, mass transit, street networks, and utilities plans. 6. Town staff also noted that no mention was made of the Southwest Shore Conservation Assessment in describing the project’s land use element. • Seek outside professional help for conducting a thorough socio-economic and environmental review essential for a development the size of Chatham Park. • Seek a formal local stakeholder input and review process to review and revise the master plan and subsequent detailed site plans. • Revise the Master Plan and Development Approval Process before granting rezoning request and approval of the Master Plan. On November 25, 2013, the Commissioners voted, 4-1 to table consideration of Preston’s rezoning request and approval for a revised Master Plan for Chatham Park. They also voted to hire consultants to review the Master Plan and the Town’s development process before any further action could take place on the rezoning request. An RFP for plan review has been posted on the town website as of January, 2014. As the Town, residents, independent consultants, and Preston work through the Master Plan, they will need to pay special attention to the Master Plan’s “big rock” issues. As the Town, residents, independent consultants, and Preston work through the Master Plan, they will need to pay special attention to the Master Plan’s “big rock” issues -- Site, Size, Land Use and Parks, Greenways, Recreation and Open Space -- and the synergy these “big rocks” exert on the other plan elements, and their potential impacts on Pittsboro. Chatham Park’s proximity to world class universities, the Research Triangle Park, and the State Capital will leverage the region’s existing physical and intellectual infrastructure. But its location near the Haw River and Jordan Lake is not ideal. It will be necessary to mitigate the environmental impacts with future water technologies and sensitive site planning and land use, as per the ‘special site characteristics, location and land uses’ required by the PDD ordinance. Jordan Lake -- described by the developer as an amenity future residents of Chatham Park will enjoy. But will the development threaten the lake's water quality? photo by Todd Martin; posted under Flickr Creative Commons license. Size: Too Big to Absorb? Chatham Park will be very big -- over 7,000 acres, 22 million square feet of non-residential space, 22,000 plus dwelling units, 55,000 people. But Pittsboro’s current water supply, water treatment and wastewater plants and public services will be hard pressed to absorb the influx once the build out is underway. Size: Too Big to Fill? 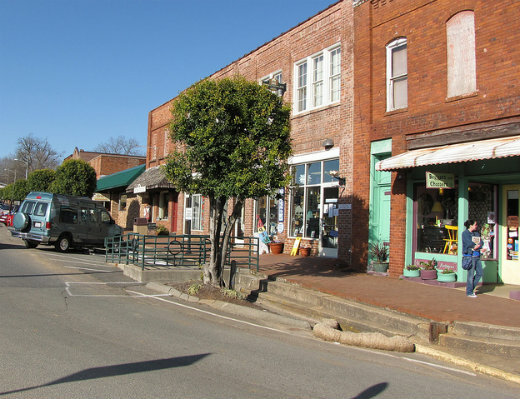 The U.S. Census Annual Estimates of Resident Population for Pittsboro estimates less than 1% growth between 2011 and 2012, by which measure, Pittsboro’s 2014 population of 6,747 would grow to just 8,771 residents in 30 years. But Chatham Park could substantially accelerate these estimates by drawing on a whole new market for housing, commercial development, and “clean tech” clusters 8, a partnership to showcase innovations of over 200 companies engaged in clean technologies in the Research Triangle Region. It is unclear whether Preston’s market studies support this level of real estate demand. The proposed Chatham Park Land Use Map and Table indicate a predominantly built up land use pattern, apportioning 6,316 acres to residential, research and development, mixed use, and activity centers, while allocating just 700 acres to parks and parkways (and, of that, approximately 160+ acres of public parks, 44 acres for conservation land, and an unknown quantity of acreage for greenways and trails). But the high level of impervious surfaces in the development may well exacerbate stormwater pollution of the Haw River and Jordan Lake? -- while the loss of wilderness, forests, vegetation, and open spaces may also impact surface and ground water quality, biodiversity, wildlife habitats, and Pittsboro’s microclimate and carbon footprint. Yet, nearly all the big rock issues -- location, site, size, land use, open space -- would be ameliorated by the Triangle Land Conservancy’s recommendations (in the Southwest Shore Conservation Assessment 10 for 2,400 acres of conservation hubs, corridors, and conservation lands. These versatile and mutually reinforcing recommendations would minimize the development footprint, mitigate the impacts of site location and size, and help protect water quality, wildlife habitats, and sensitive natural and historic areas. 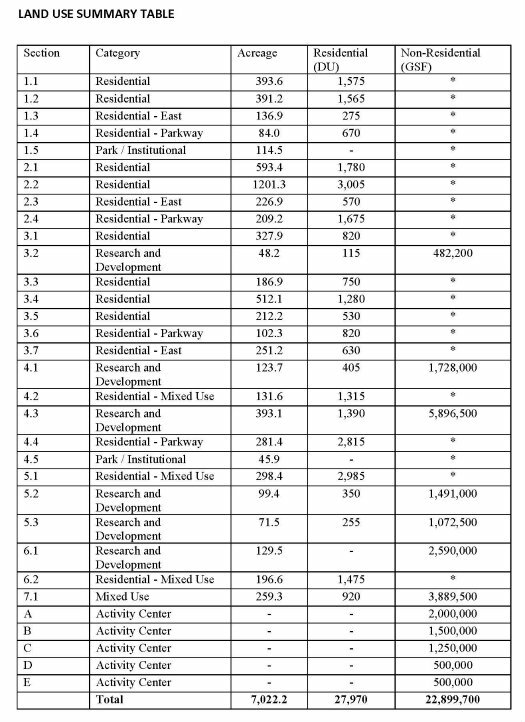 Yes, a pared down Chatham Park site would necessitate the reduction of the number of dwelling units, commercial, and R&D space, albeit with some changes to the developer’s Pro Forma. 11 But many residents feel a small compromise would result in a more ecologically sensitive, sustainable, and marketable Chatham Park. 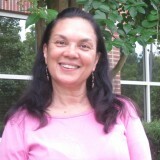 Deepa Sanyal is a Community Planning consultant and Training Professional. She provides professional services to local governments, communities, universities, and civic organizations seeking guidance on comprehensive planning, community assessments & revitalization, historic preservation, and cultural tourism. 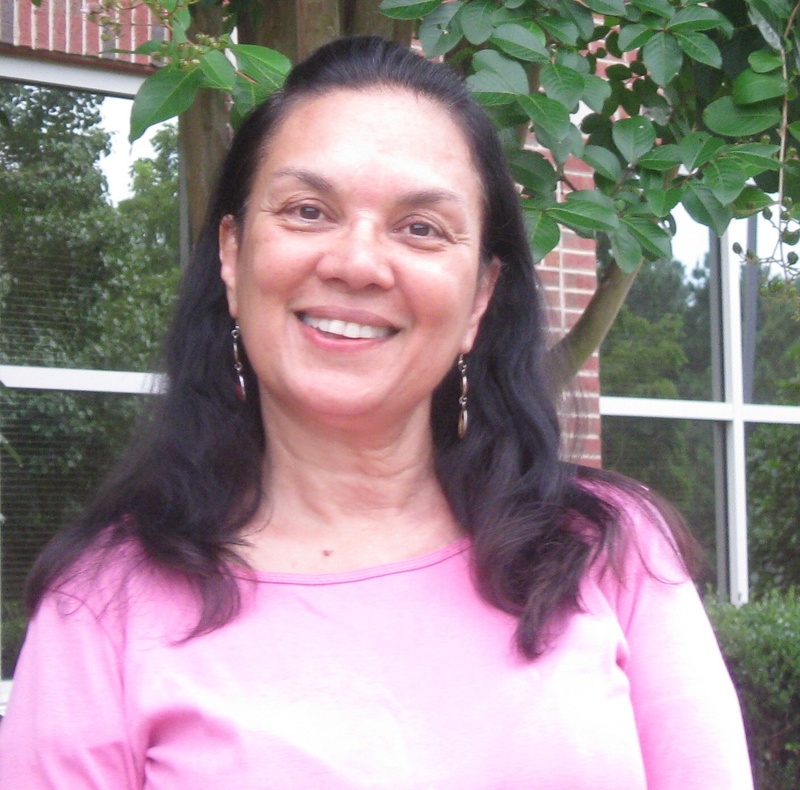 Deepa also advocates for and writes about sustainable development issues, and serves on the Chatham County Planning Board in her “Corner of the Triangle."